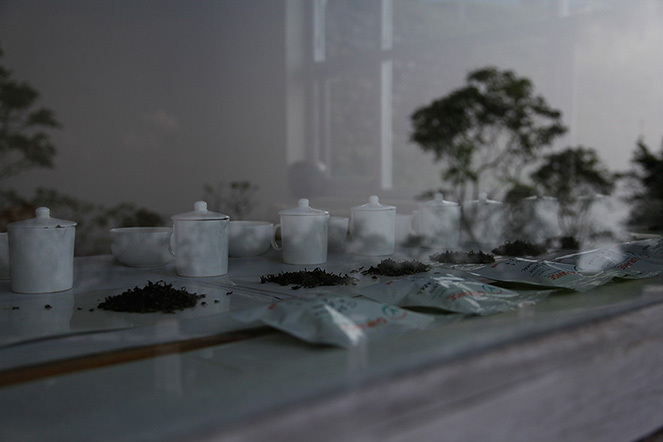 It is no more difficult to taste thirty or forty teas than to taste two or three. On the contrary: you move quickly from one to the next, you spit each one out, you concentrate so you can compare them, and very quickly you know which one you prefer. When I set off to visit Sri Lankan plantations, I stop off first in Colombo to taste the teas being sold at auction in the following days. It gives me a good idea of the quality being produced by the different gardens. Each of these boxes contains a few tea leaves and is marked with the lot number. 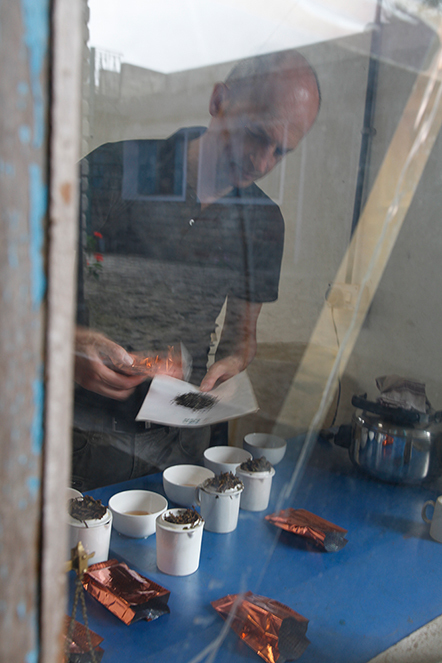 The advantage of photographing a window is that you can layer two images: here, the tasting set being prepared, and the landscape reflected in the glass. It’s fun to combine and merge the two views. The meaning of the tasting becomes clearer: we drink the tea, which comes from nature, surrounded by the land from which it originated. 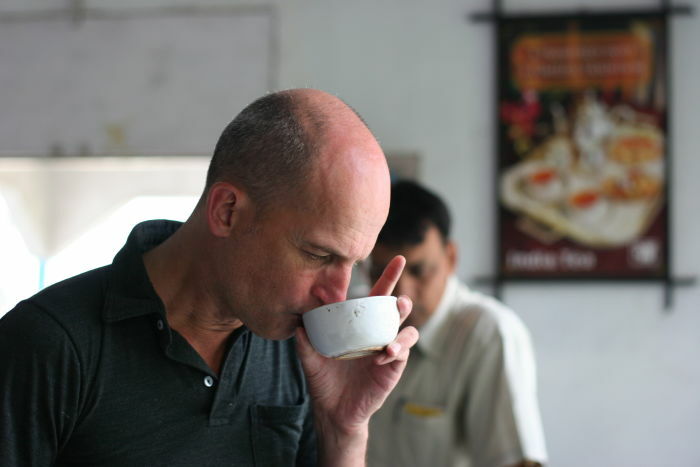 In Kolkata, where the heat is stupefying for a good part of the year, tea is drunk boiling hot. 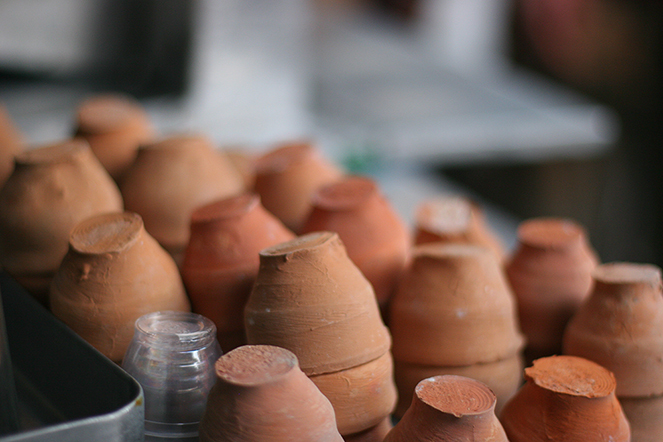 It is consumed in the street, by a stall, where it is often served in an unfired clay cup which is then thrown to the ground. The clay breaks on the pavement, and when the rain comes it turns to mud. 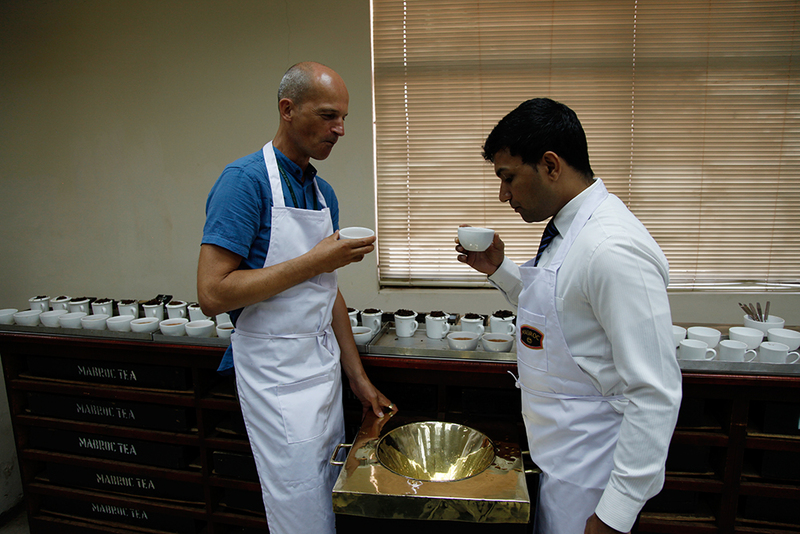 The first step in tasting consists of looking at the leaves. You pour a small amount out onto a neutral surface, like a sheet of card, and you examine the quality of the plucking, the colour of the leaves, their size, evenness, etc. This already gives you a good idea of what you’re about to taste. 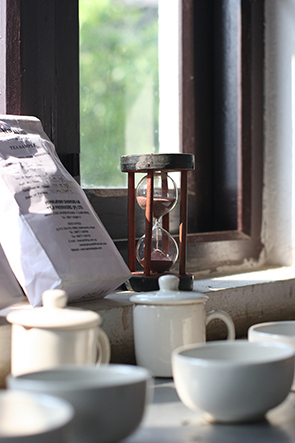 Les Darjeeling de printemps infusent entre 3’30 et 4 minutes. Le plus simple est de régler votre minuteur sur 3’45. Il faut être précis lorsque l’on prépare ce type de thé. Si l’on veut maintenir un bel équilibre entre le bouquet aromatique, la texture et la saveur, il faut stopper l’infusion à temps. Tout l’enjeu se résume à ceci : laisser aux arômes le temps de se développer mais contenir l’astringence et l’amertume à un degré de délicatesse où elles prolongent la perception des parfums, sans leur faire ombrage. 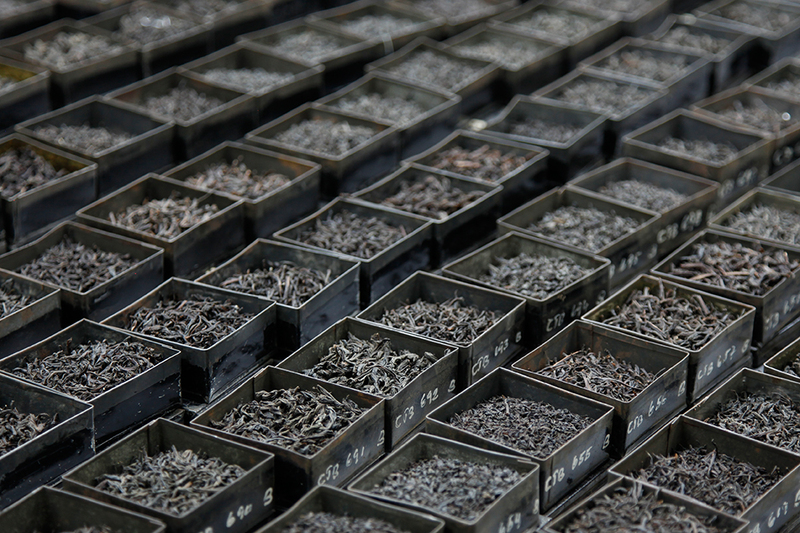 There are many teas to taste at this time of year. From now and for the next few months, I’ll be tasting dozens of teas every day, and up to 100 or 150 at times. I taste them “blind” because I don’t want to be influenced by my friendship with particular farmers. The name of the garden is hidden so that the initial selection is based solely on a sensory analysis. To express my preference, I make this gesture, shared by many planters: pushing the cup gently with the fingertips, palm facing upwards. Bitterness is the only intelligent flavour, Olivier Roellinger told me as we tasted a selection of teas together, when I warned him that some darjeelings have a touch of bitterness. It is a flavour that, unlike sweetness, needs winning over, taming. It can be off-putting, but when we know how to appreciate bitterness, it offers such richness, such delight! And Olivier Roellinger talked to me about the famous Italian gastronomy, a fine example of a bitter cuisine. 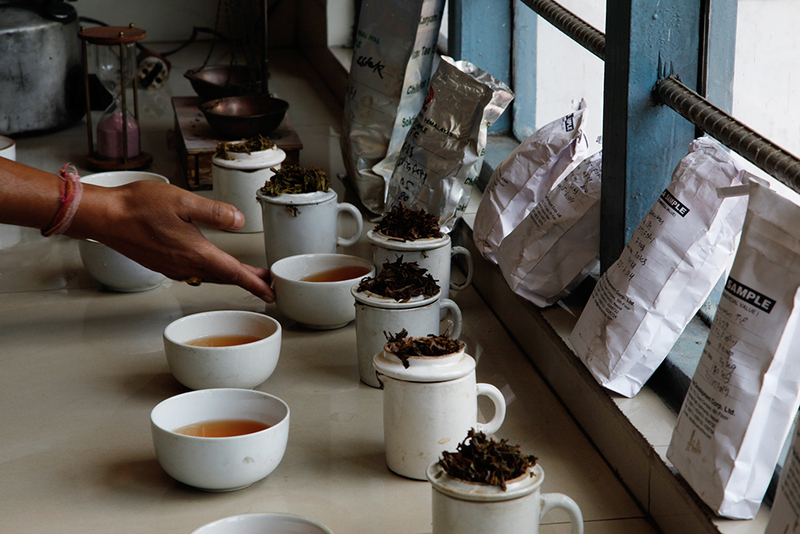 Three plantations in Nepal are currently producing teas that in my view are worthy of the “grand cru” appellation. But in the past year, it has to be said that Guranse, Kuwapani and Jun Chiyabari are no longer alone in offering exceptional teas. Mist Valley and Sandakphu, both situated in Ilam Valley, are making teas of remarkable flavour quality. 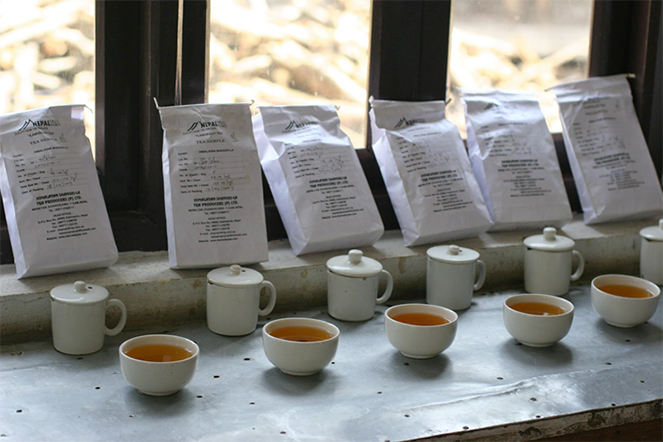 These teas will be ready to try in a few days, and are excellent value for money. Making tea requires great precision. Scales are used to check the weight of the leaves, then there is a kettle with volume markings , sometimes a thermometer, and a timer. 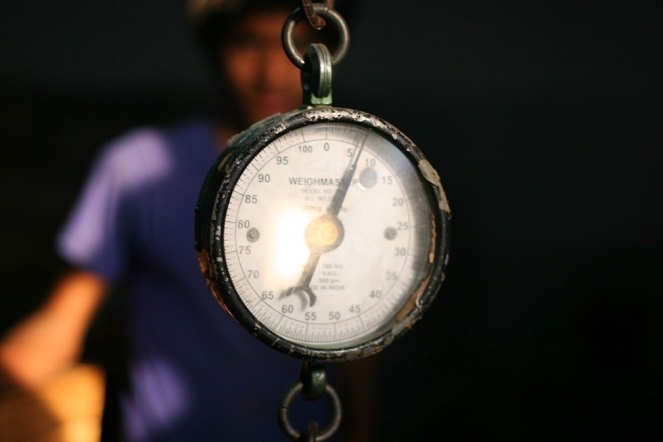 When I’m on a tea plantation, I like to photograph the different measuring instruments I see, like here, in Nepal.